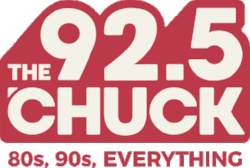 Christmas is coming early to 92.5 The ‘CHUCK! Listeners will wake up in the holiday spirit this Friday after the station transforms overnight into Edmonton’s Christmas station, starting November 16 at 12:01 a.m. MT. 92.5 The ‘CHUCK returns to its uniquely-Edmonton take on variety music mix on Wednesday, December 26. If you live here, you get it. Capital fm 96.3 beat them by one day!!! And the battle for “Edmonton’s Official Christmas Radio Station” is on!! I saw this post earlier today and thought , so what. Just came back from a trip to the grocery store and I dropped a couple dollars in the Salvation Army bell ringers kettle. I guess Christmas is on schedule and under budget.